Dethleffs motorhome dealers UK wide are rightly proud to be associated with this quality product that originates from Germany. With a history dating back over 85 years, the Dethleffs company hasn’t lost its knack for innovation and comfort when designing and building its motorhomes. Along with Chausson, Hymer, and Autotrail motorhomes for sale UK wide, the Dethleffs’ models are among the most popular on the market, and on British roads today. Reviews online back up the great popularity of the Dethleffs brand, with many users commenting on their superb build quality and impressive insulation against both hot and cold temperatures. Because they are so sturdy and have an impressive lifespan, Dethleffs motorhomes are as popular on the used market as they are with consumers purchasing new models. Given that many people choose to buy a used motorhome for economy reasons, what should you be looking for when you inspect one that you are considering buying? First, it’s a great idea to look for Dethleffs motorhome dealers UK based to make your purchase from. As approved suppliers, they have a great deal of knowledge about the brand, its specifications and any common issues that arise as the vehicle ages. You can expect them to have done all the necessary checks and repairs to ensure that these Dethleffs motorhomes for sale UK based are in the best possible condition for their age and are ready to hit the road when you are. Good dealers let you go over the vehicle with a fine toothcomb to ensure you’re happy before you part with any cash. For example, you should closely inspect the motorhome’s exterior for dents or ripples in the fabric. Examine areas where sealant has been applied, or places where the paint has been touched up, which may indicate the vehicle has been involved in a crash. Inside, see if you can smell traces of damp – a musty smell will linger if it’s present. Press against the ceiling and walls and tread the floor throughout carefully – you’re looking for a spongy feel which may indicate water has got behind laminate or surfaces. Look for signs of damp inside storage lockers and under the seats, and ask to see the beds opened out to check that they’re suitable for you and your family. Finally, ask your dealer about the warranty they apply to second-hand Dethleffs motorhomes UK wide. It should be generous enough to allow for any problems that emerge to be spotted and rectified without you losing out. At Premier Motorhomes, we understand that great customer service is the cornerstone of our success. We’re responsible and approved Dethleffs motorhome dealers UK based and wouldn’t sell our customers a vehicle that we wouldn’t use ourselves. 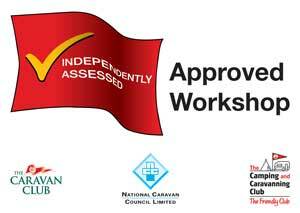 That’s why we’re confident in offering a twelve-month warranty and 12-month MOT on any used motorhome in our show area. We guarantee the vehicle you buy is in top condition for its age and has been maintained to a high standard. To see what we have on our forecourt, view our website at https://premiermotorhomes.uk or visit us at Premier Business Park, Main Road, Birdham, Chichester, West Sussex PO20 7BU. If you have questions, we’re delighted to answer them on 01243 210030.